Platinum Floor Coatings' Roll on Rock® epoxy wicks deep into the concrete and bonds so well that you can expect up to 3 times more adhesion than any other epoxy and polyaspartic coatings. This is a true no peel floor coating. 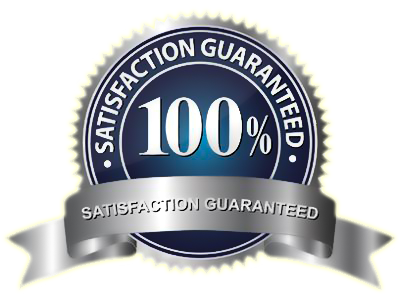 Our epoxy is backed by a Manufacturer's Lifetime Adhesion Warranty. This epoxy system will not peel or flake! 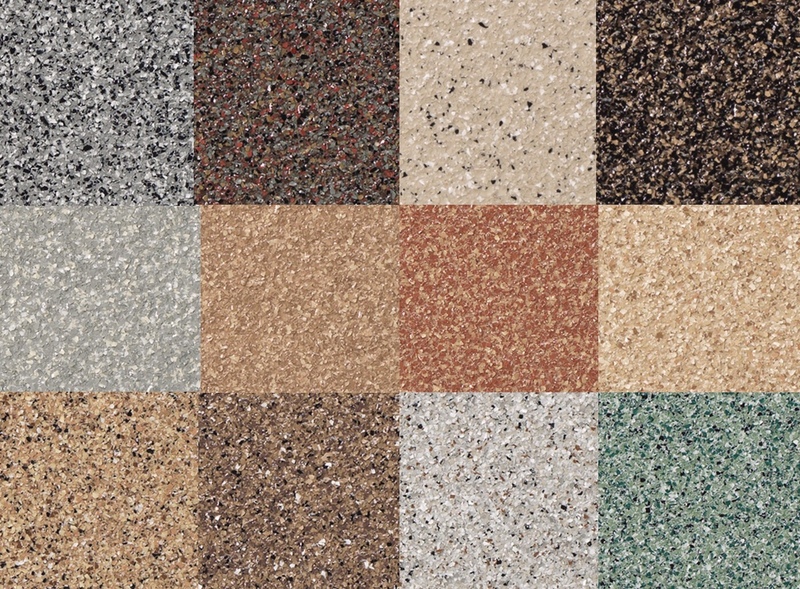 Platinum Floor Coatings has many different garage floor epoxy colors to choose from that are sure to fit any taste. Only a small sample of epoxy colors are shown here. Most common floor chip flakes size range from 1/16" all the way to 1/2". The larger flakes give a more industrial look while the smaller flakes give a more rich and luxurious look. 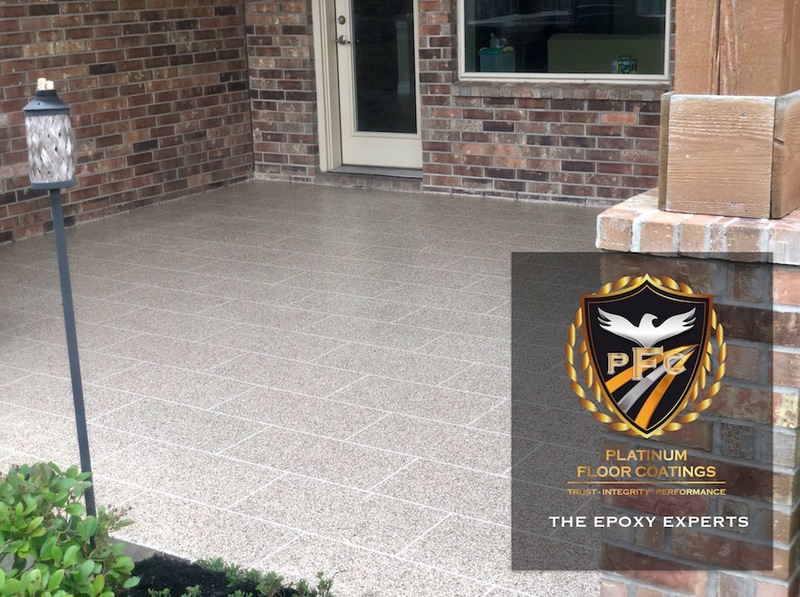 Platinum Floor Coatings' epoxy floor coatings in Houston are designed to provide a strong and durable finish. The seamless floor finishes are suitable for the most demanding industrial setting including auto mechanic shops, dog kennels, warehouses, and of course, your garage floor. Platinum Floor Coatings' clear, abrasion-resistant polyasparitic topcoats produce a tough, easy-to-clean surface that does not require waxing or other labor-intensive upkeep. Ideal for demanding environments, our products are aesthetically pleasing and impact, abrasion and chemical resistant. 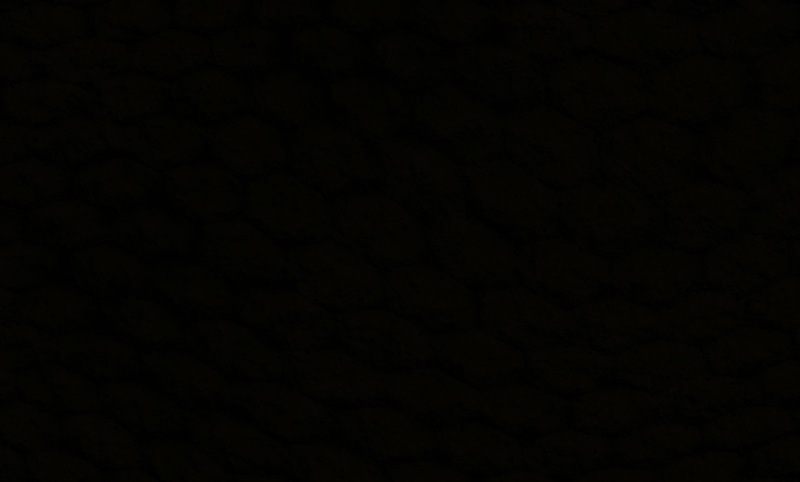 Our epoxy floor coating is UV stable and will NOT turn yellow. To learn more about our no peel floor coating, call today. The manufacturer of our Roll on Rock® Epoxy Coating System (Epoxy 4195) conducted an adhesion pulley test against 4 leading competitors. The results were dramatic showing that the Epoxy 4195 is much stronger than our competitors. The photo illustrates how the Epoxy 4195 wicks much deeper into the concrete, grabs on tighter, and when pulled with enough force, a deeper section of the concrete was removed. 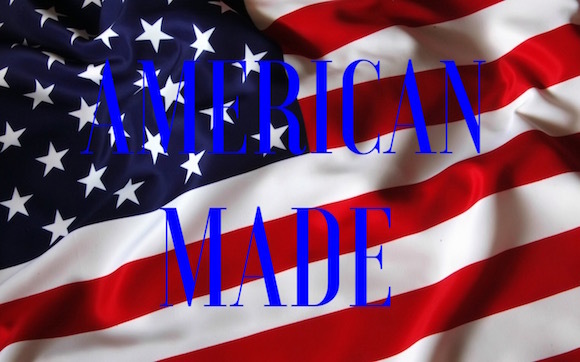 All epoxy products installed by Platinum Floor Coatings are American Strong and American Made! In support of our brave men and women, we offer all current and former military personnel a Military Discount. 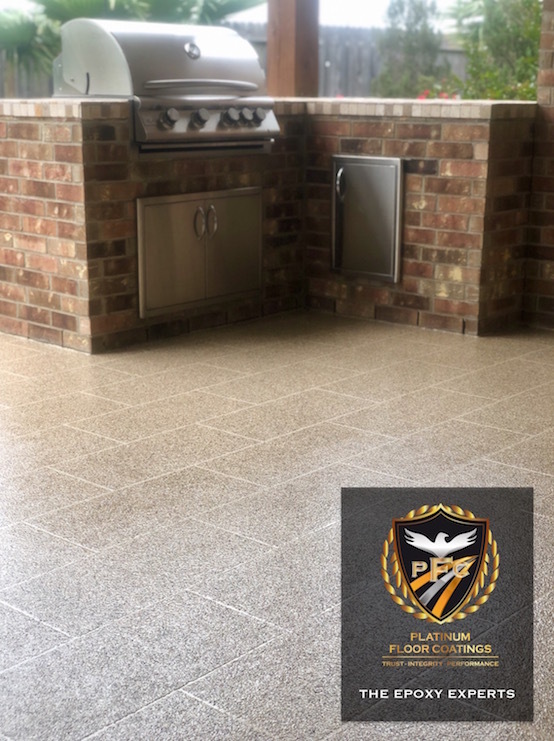 Platinum Floor Coatings can install our full broadcast flake system with natural grout lines that have a look of planks or tiles that can be designed in several different patterns. The effect is a floor with unequaled adhesion as well as unequaled beauty. 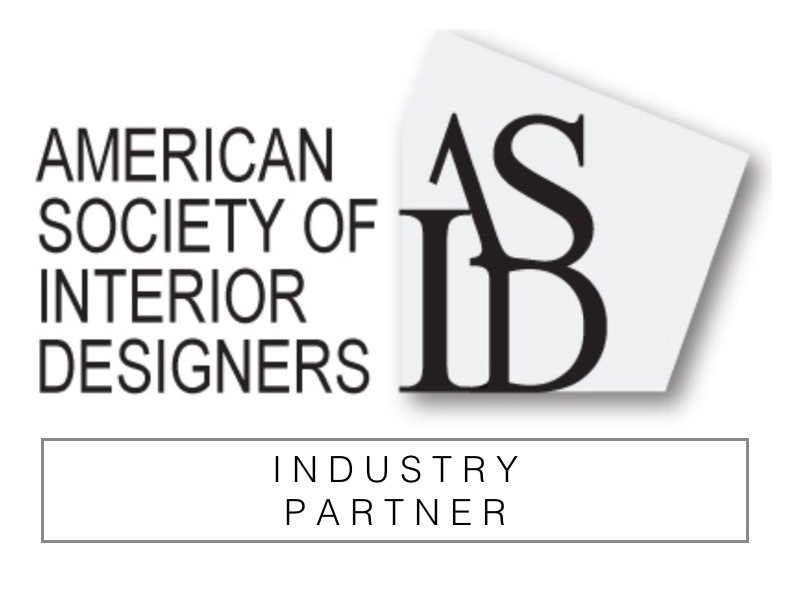 Your new floor will enjoy the reassurance of a Lifetime Adhesion Warranty along with this added element of design. It's a true step above! 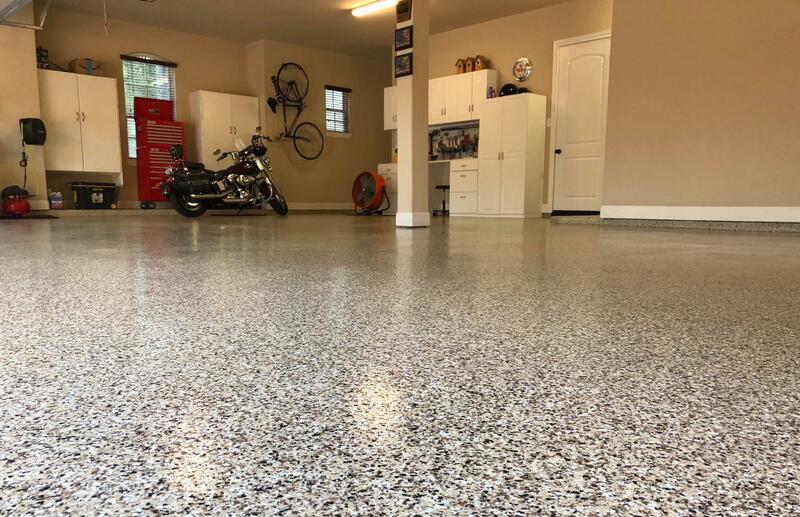 Platinum floor coatings is dedicated to providing the highest quality garage epoxy concrete floor coating products for the garage and other residential and commercial applications. We are experts in installing garage floor epoxy coatings. Platinum Floor Coatings installs epoxy over concrete that is perfect for the residential or commercial garage. Our high solids epoxy is of the highest quality and provides an impact resistant high gloss finish. We use a Direct to Concrete Pigmented Epoxy Concrete Floor Coating and Sealer. 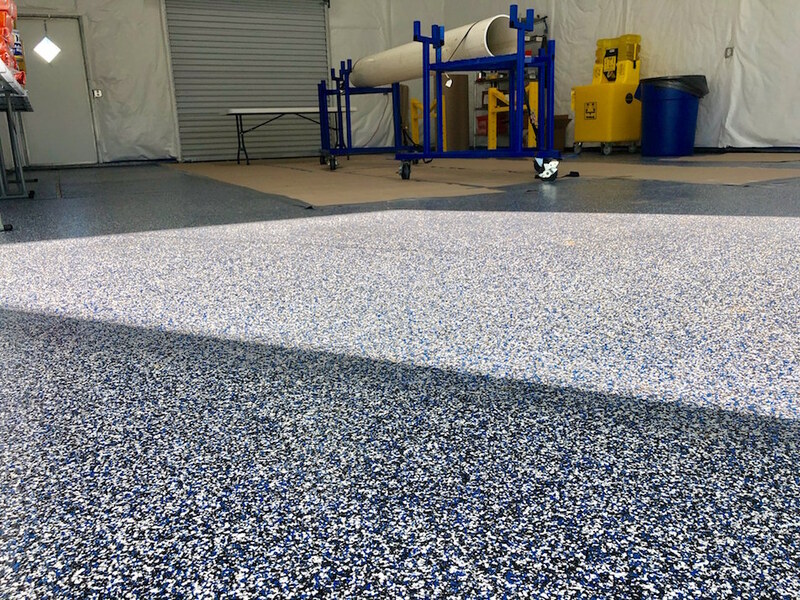 Our garage floor epoxy is designed specifically for receiving vinyl chips that is used to create the Roll on Rock® Epoxy Garage Floor and Industrial Flooring System. Our garage floor concrete epoxy is self priming which allows the applicator to broadcast into the first coat under most circumstances. The epoxy wicks deep into the concrete and bonds so well that you can expect to get over 8lbs of MVE blocking power. Our epoxy exhibits all of the great features needed in an Epoxy Concrete Floor Coating. 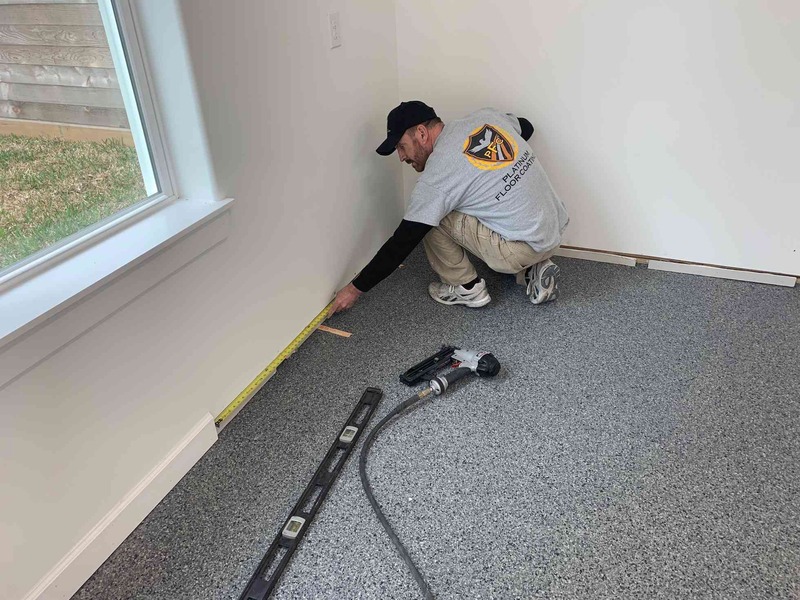 In most cases all that is needed is one or two coats of the Direct to Concrete Epoxy Flooring to achieve a tough uniform solid color of a new or old concrete floor or slab. 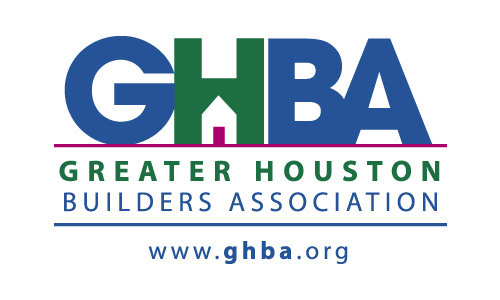 Angleton, Baytown, Bunker Hill Village, Cinco Ranch, Conroe, Crosby, Cypress, Energy Corridor, Friendswood, Fulshear, Galveston, Hedwig Village, Hillshire Village, Humble, Iowa Colony, Katy, Lake Jackson, Memorial, Memorial Village, Missouri City, Mont Belvieu, New Caney, Pearland, Piney Point Village, Richmond, Rosenberg, Spring Branch, Spring Valley Village, Seabrook, Stafford, Sugarland, Sweeney, Webster, and The Woodlands. 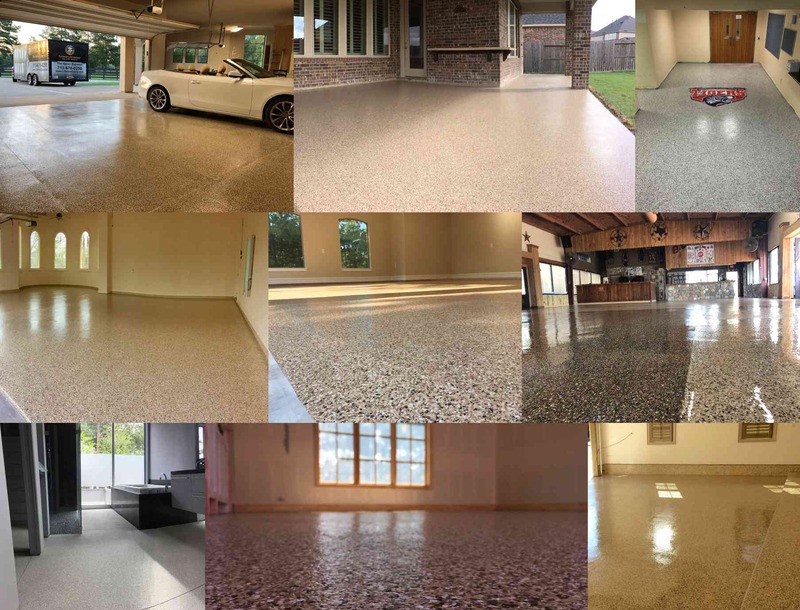 Platinum Floor Coatings, Houston's premier epoxy contractor, takes great pride in the garage floor epoxy work we do and it definitely shows. 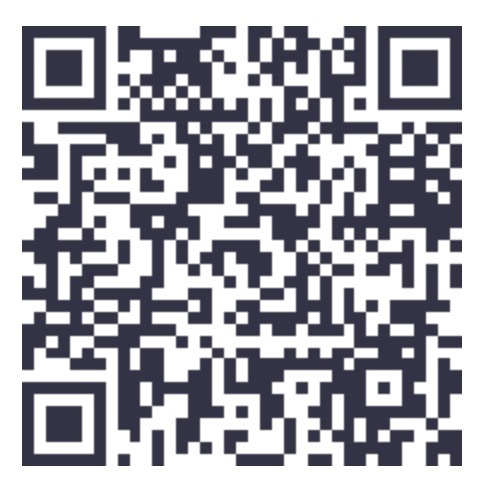 Click the link below to browse through photos of some of our many completed jobs. ACETONE, XYLENE, AMMONIA, DEGREASER, LIQUID PLUMBER, VINEGAR, CLOROX, WINDEX, MOTOR OIL, GASOLINE, SKYDROL, AND HOT TIRES! This is what it looks like when price is the customer's primary concern when choosing epoxy flooring. We are removing a competitor's epoxy floor coating that failed after only 2 months and installing our own LIFETIME warranted epoxy flooring product. This is when cheap becomes VERY expensive. Always remember the old saying, you get what you pay for. We don't sell on price. We don't try to be the cheapest, we strive every day to learn and be the best at what we do! If stored items in your garage are keeping you from having an epoxy floor coating installed, wait no longer! 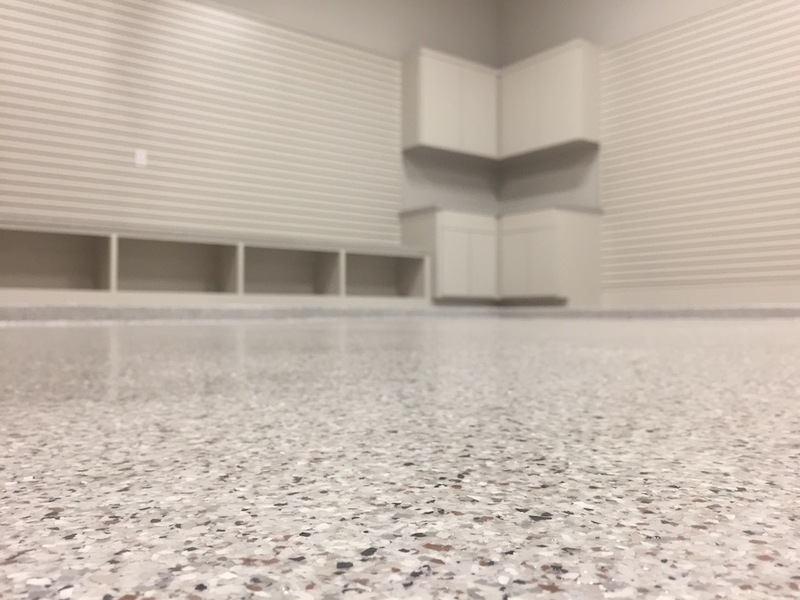 Platinum floor Coatings offers temporary storage to store your belongings while we install the industry's leading 2 part epoxy system on your garage floor. 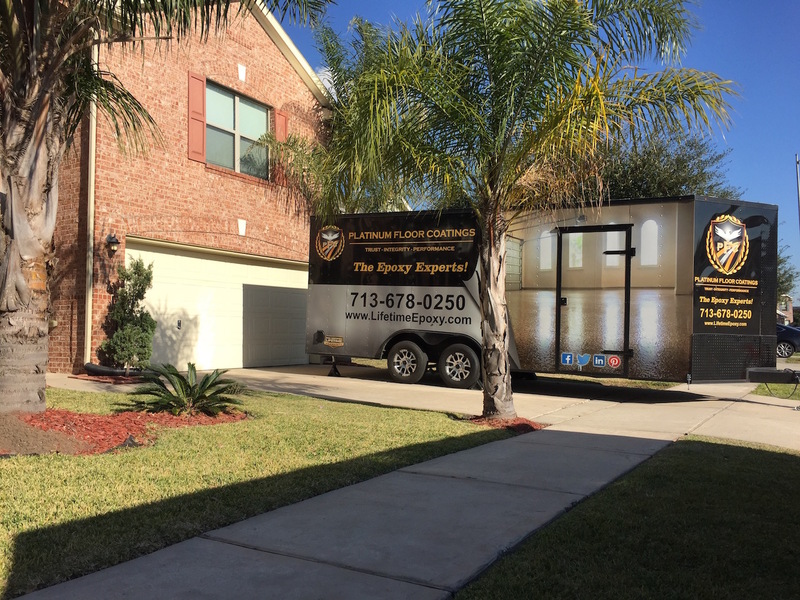 A service you won't find anywhere else but Platinum Floor Coatings! Platinum Floor Coatings is equipped for any epoxy flooring job! Acid washing is simply not effective in profiling concrete to accept epoxy. Adhesion failure is almost a guarantee. We employ top of the line diamond grinders and shot blasters depending on the condition of the concrete to be coated and the desired concrete profile to be achieved. The goal is to achieve a profile that allows the coating to wick deepest in the concrete. Both profile methods are excellent allowing us to provide a lifetime adhesion warranty on all our epoxy flooring applications. platinum floor coatings installs all types and sizes of baseboards. No epoxy floor coating is complete without them. It's the finishing touch to beautiful epoxy flooring. We typically install solid wood 4 1/4" or 5 1/4" solid wood baseboards that are primed white. after installation, the customer will only need to have them painted the color they desire. 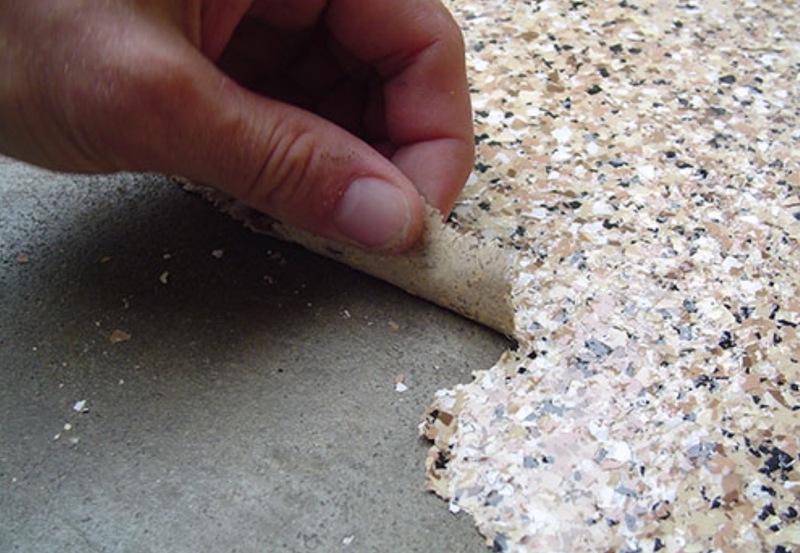 Platinum Floor Coatings' decorative Roll on Rock® Garage Floor Epoxy Flake System involves a 3 step process after the concrete has been properly prepared. A primer epoxy base coat is applied first and wicks deep into the concrete and bonds tight. After the base coat has set, flakes are evenly distributed across the base coat. Excess chips are removed and a polyurea top coat is then applied. At the end, a beautiful garage with a stunning epoxy finish. 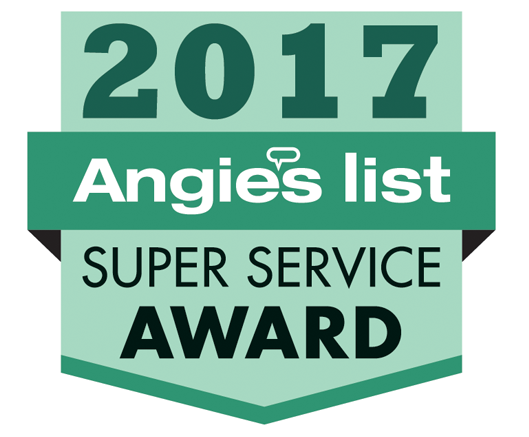 Call today for a professional and free estimate.